The very best free puzzle games you can get for your Android phone or tablet. Whether you've just purchased your first Android phone, or are looking for some new games for your existing device, we've pulled together a list of our all-time favorite free puzzle games that won't cost you a cent. Just about any of the Angry Birds games will do if you need to fill a physics-puzzling hole in your life, but you might as well start with the game that kicked off the global mobile craze. Once you've exhausted the levels included in the free edition of the original, you can always check out the Space, Star Wars, Rio and Seasons-flavored installments in a series that has come to define the mobile gaming scene. 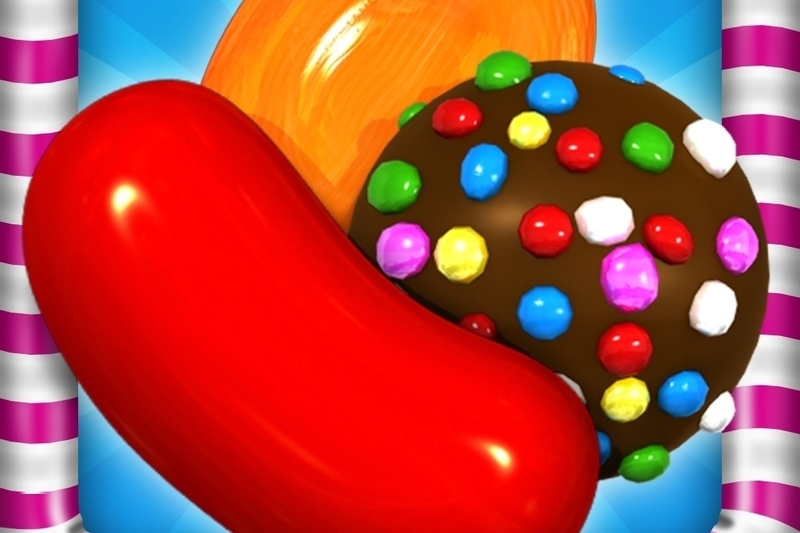 Candy Crush Saga may demand an eye-watering amount of money for its in-game upgrades, but there's no denying that King's biggest success story is a frighteningly addictive affair if you have the patience to resist in-app purchases. At its core, Candy Crush Saga is a simple game of gem-matching, but there are some fearsomely tricky levels to be beaten if you're to make it all the way through the game. We've got plenty of tips and tricks if you find yourself getting stuck at any point. Scrabble, basically, although we're assuming Zynga didn't fancy paying a disgusting amount of money to use that copyrighted name. 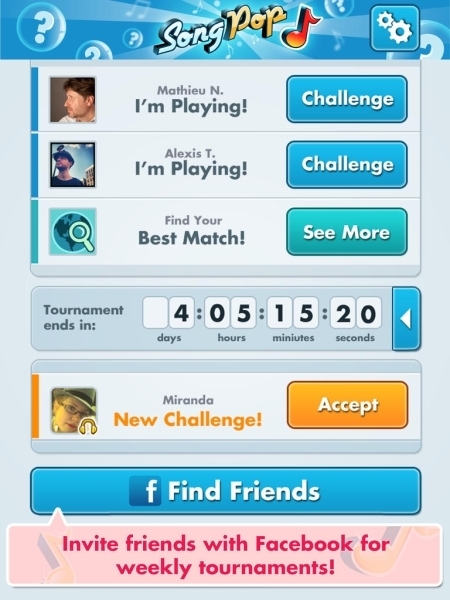 Not only is this exactly the kind of word-building gameplay you'd expect from even a quick glance at a screenshot, you can even play against your iPhone-owning friends from your Android device. No cheating with online anagram solvers though, eh? Like all the best puzzle games, Flow Free sounds incredibly simple on paper, but proves to be considerably trickier in practice. All you have to do is draw lines between each pair of colored dots, cover every tile, but make sure no lines overlap. Sounds simple, right? Well, it is at first when you're playing on the small 5 x 5 grids, but as the grids get bigger, and you have to juggle more colors, the game becomes a serious drain on your mental powers. Amateur engineers with a head for planning won't want to miss out on Geared, one of the Android platform's grand old dames of gaming. In Geared, you'll have to carefully slot gears together in the correct order, so as to create an entire interlocking machine. ZeptoLab's Cut The Rope is up there with the best when it comes to mobile physics-puzzlers. You'll need to make delicate finger-swipes to slice through the ropes on each level, and steer the hanging candy towards Om Nom's hungry mouth. There are nearly 400 levels to be chomped through in this mobile classic - enough to keep even the greediest gamer happy for many hours to come. Dots is a very simple game, and yet it's one you'll find yourself coming back to time and time again. In just 60 seconds, you need to draw together as many dots as possible, so as to build a high score for the leaderboard. It's a simple proposition, but the more dots you can join together in one motion, the more points you'll score. You'll need fast thinking and fingers if you're to beat your friends in this modern puzzling classic. This quick-fire version of PopCap's puzzler challenges you to burst as many gems as possible within a strict 60 second time limit. All of the special bonus gems from the original game are included, but you'll have to think on your feet quickly if you're to bring them into play before the time's up. A very different, but very addictive take on the classic Bejeweled gameplay. Guessing games have dominated the app store charts in 2013, and SongPop is one of the best trivia titles you can get for absolutely nothing. This competitive game has you racing against friends and family to guess the famous artist or song from one of hundreds of song clips. A wide variety of genres ensures there's relevant content for gamers of all ages. Where's My Water? 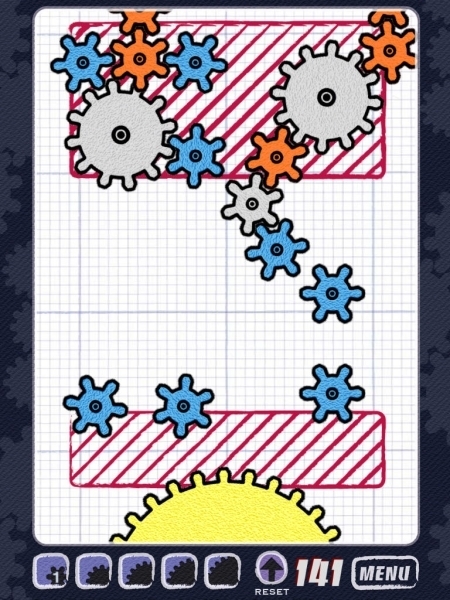 is a refreshingly different take on the traditional physics puzzler. Instead of flinging objects around the screen, you'll have to carefully carve out the landscape of each level to steer water towards Swampy so he can have his shower. Tricks and traps abound in the game's huge number of levels though, so you can be sure of a major mental workout before you're done with the game. Highly recommended.